Started by John Hollis and Nick Lambert. Type: CG (some sprites) Written 1983 by F. J. Preston in Basic. Comments: Find a lot of treasures and the Ring of Power (wow!). Type: Bitmap graphics Written 1984 by David Shea and F. J. Preston. Notes: This was a floppy magazine cover record from Computer & Video Games, October 1984 that you recorded on tape and then played. If you solved the game before November 16th, 1984, you could win a backstage pass to a Thompson Twins concert. Type: Graphics Written 1983 by John R. Keneally. Type: Text only Written 1983 by Derek Brewster in BASIC. 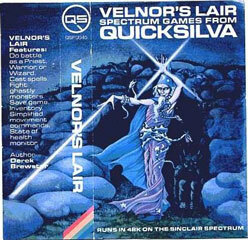 Notes: It was originally released under his own company, Neptune, but later marketed by Quicksilva. Comments: Adventure in underground caves in search of the evil wizard. It has some RPG flavour to it, in that you could play one of three different classes. 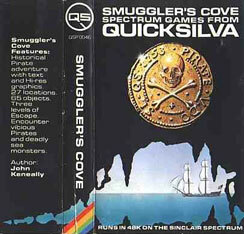 Is this the same game as under Atlantis Software?